During the holidays and festive seasons, booking an airline ticket becomes a daunting task. If you are stuck in a similar situation, then your first destination should be Aaradhya Holidays. Our airline ticketing agents are proficient in booking any number of airline tickets for the passengers conveniently. 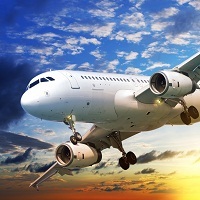 Even in a case of exigency, we are capable of booking cheap flight tickets in domestic as well as international airlines. Owing to our connections with several airlines, we offer tickets for economy as well as business coaches. So, feel free to call us anytime. We are based in Cochin (Kerala, India).